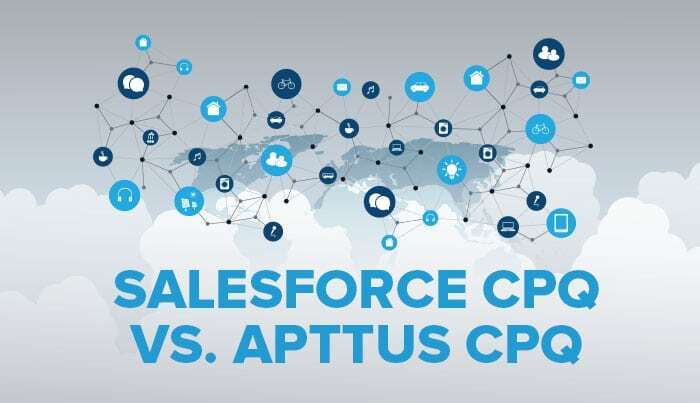 Salesforce and Apttus are two of the leading CPQ providers competing in similar market spaces. For a customer or business operations team tasked with assessing and deciding which solution best suits their needs, it can be a challenge to decide, and understandably so; the two compete very closely in many categories. 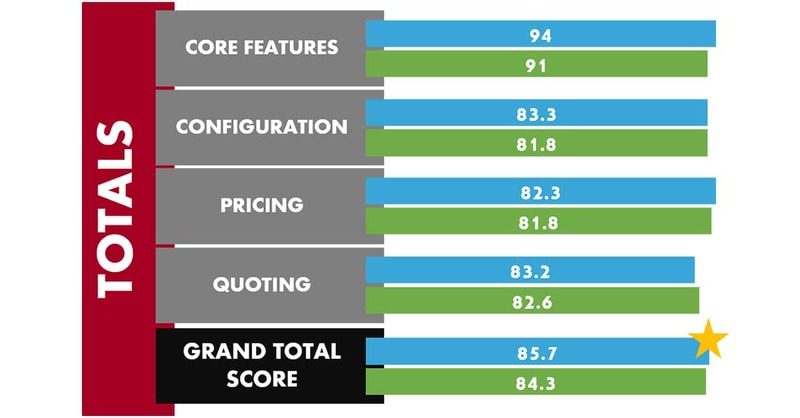 We’ve compiled this article to summarize and present the pros and cons—taken straight from customer reviews—of each provider’s solution, measured against the most valuable features each offers their customers for next-generation configuration, pricing, and quoting. 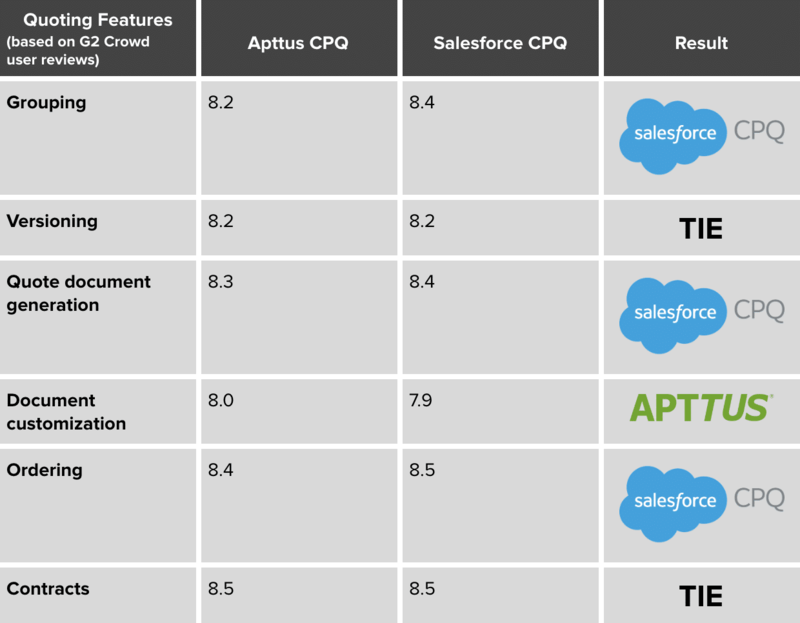 When it comes to the core elements of their CPQ applications, Salesforce and Apttus score nearly identically. Both are native to the Salesforce platform, both have extensive support infrastructures, and both consistently rank at a four out of five stars (or eight to nine out of ten) level based on unbiased consumer reviews. 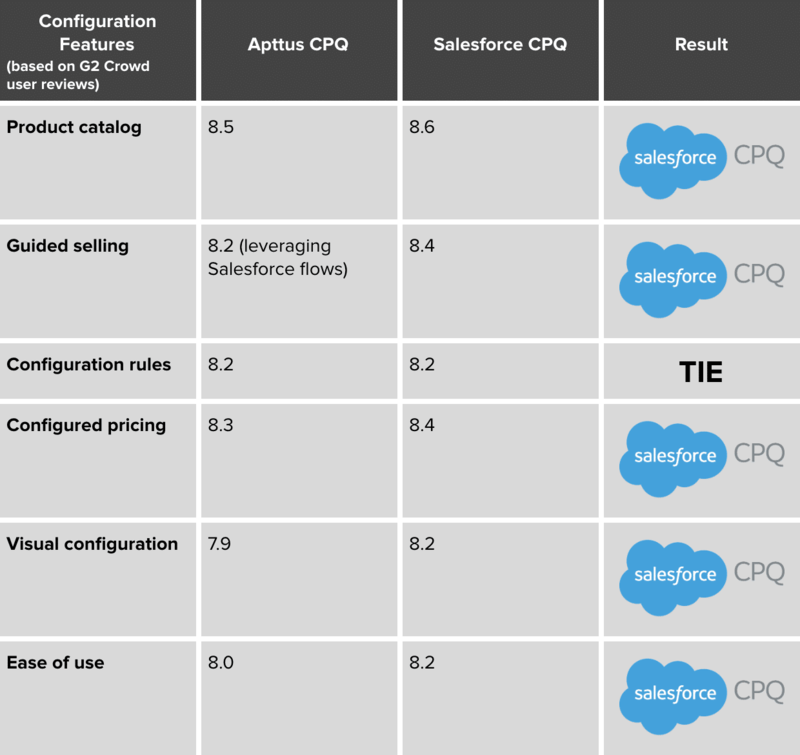 Overall, however, Salesforce CPQ has overtaken Apttus in install and user base (more businesses), demonstrates greater flexibility with bundle configuration and quoting, and gains slightly higher reviews from customers on G2 Crowd, FinancesOnline, and GetApp. The first step of quote-to-cash processes in your organization is an intuitive and effective configuration engine. And it’s here that the merits of Salesforce CPQ clearly shine. 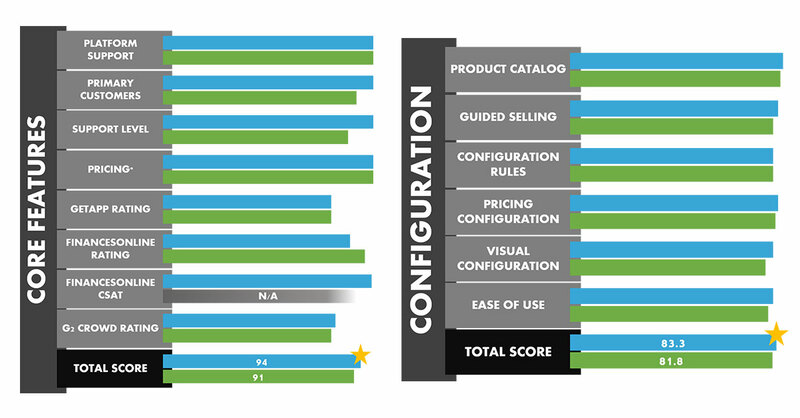 In everything but configuration rules (where Salesforce and Apttus come in at a tie), users prefer Salesforce CPQ for building bundles, applying rules, and managing dependencies inside their product masters as part of the configuration of products and applying these when building quotes. Salesforce CPQ consistently scores higher with superior guided selling and product catalog management chops, and an intuitive, easy to use experience. 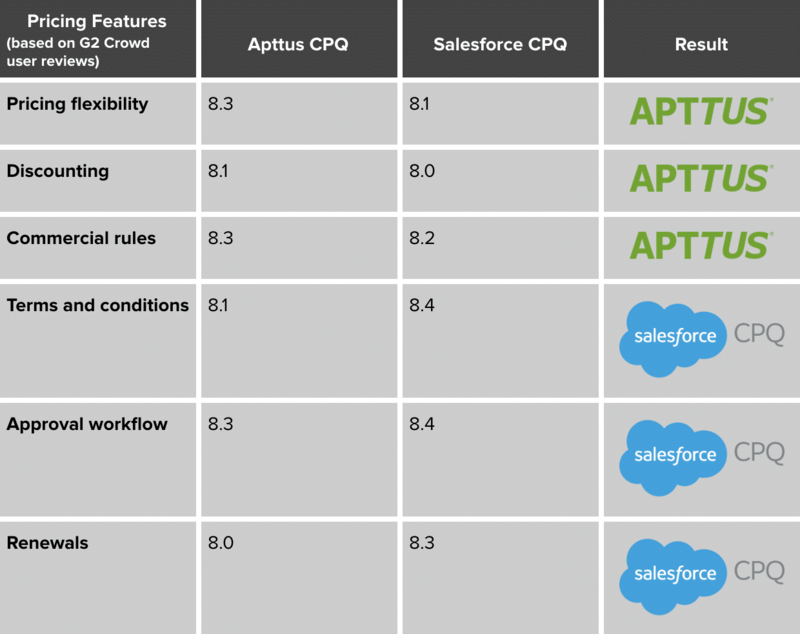 According to their users, the individual capabilities of Salesforce CPQ and Apttus CPQ are split evenly when it comes to the how they handle pricing, with Apttus landing ahead of Salesforce for pricing flexibility, discounting, and commercial rules. On the other hand, Salesforce is king for terms and conditions, approval workflow, and renewals. While all these are all important factors for driving more revenue and quote-to-cash operational efficiency inside your business, each should be considered carefully against what is relevant and most important to deliver against your organizational goals. Finally, Salesforce and Apttus again compete narrowly when it comes to the various quoting features sales people look for in their quote-to-cash solution. It’s the final stage of your CPQ process, but an all-important one that ensures customers are satisfied with your offering and ultimately seals the deal and generates revenue. While using CPQ in these quoting processes will provide many advantages regardless of the selected provider, we again regard Salesforce CPQ as the preferred quoting tool based on professional feedback and customer feedback. 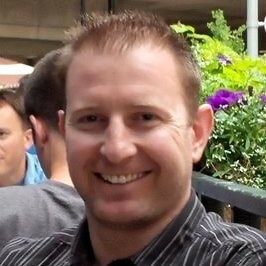 Salesforce CPQ’s native quote generator offers an extensive feature set, but Apttus enjoys favorable reviews for document customization (Salesforce CPQ, however, swings back with seamless compatibility with various plugin AppExchange tools for advanced document generation and management, where needed). 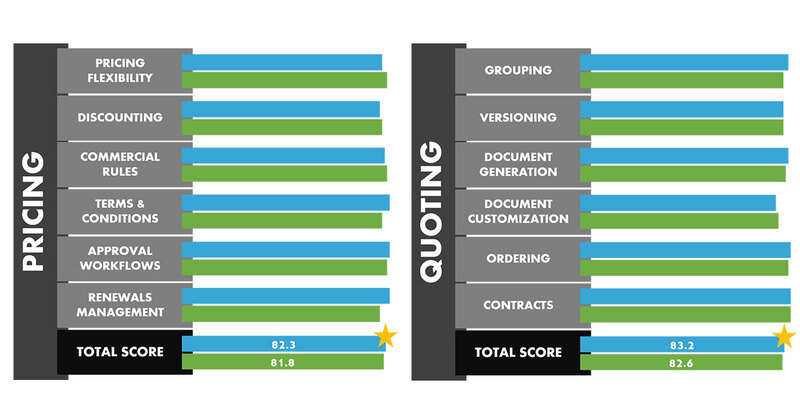 Salesforce CPQ’s quoting engine retains the title belt with more quoting categories including grouping, quote generation, and ordering. While Salesforce and Apttus are both fantastic options for driving more cash into your business (and who doesn’t want that? 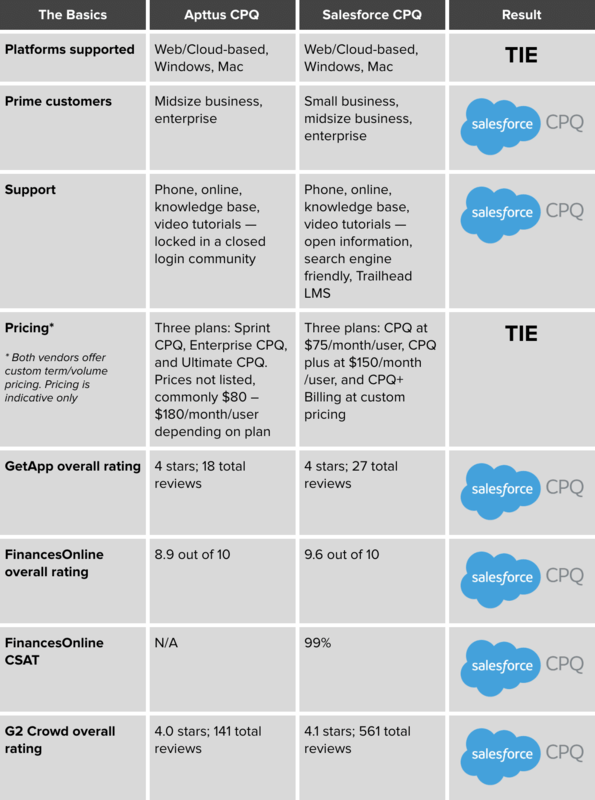 ), Salesforce scores slightly higher overall and, more importantly, wins in categories which usually present the most value to CPQ customers. Its shortcomings are also easily overcome with the Force.com’s extensible platform, easily customized architecture, and the power of the AppExchange to supercharge the product or deliver niche missing functionality – and that is why Simplus sides with Salesforce as the better product overall. A final tally of verified customer reviews on Apttus and Salesforce CPQ, feature-by-feature, puts the total scores at 147.8 out of 180 possible points for Apttus and 149.3 out of 180 for Salesforce. As they say, “the little things add up”, and in this case, they are sufficient to put Salesforce at the top of the CPQ list. Salesforce is a dynamic, powerful business enablement platform built to scale with your business and be quickly adopted by users. With Simplus’ expert consultants and years of experience, we can simplify your journey with Salesforce CPQ and the Force.com platform, turning all these little advantages into big results for your company.